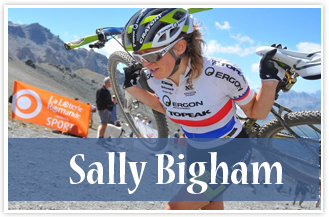 Sally is currently ranked number one in the UCI World Marathon Rankings. Her victories in include: The Cape Epic 8 day stage race (South Africa), Andalucia 6 day stage race (Spain), Grand Raid Cristalp (Switzerland), Roc D’Azur (France), Adamello bike marathon (Italy), Kitzalp (Austria), and Etna marathon (Sicily). 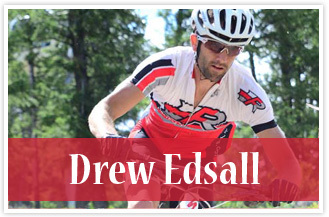 Although he excels at endurance and stage racing, you will also see Drew racing in his favorite cross-country, cyclo-cross, and Xterra races. Prior to mountain bike racing, Drew was a three-time decathlon champion in college and traveled the globe playing soccer in high school. Drew graduated from Gettysburg College with a degree in exercise sciences. 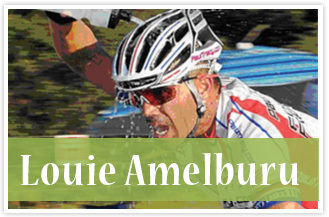 He holds a level 2 USAC coaching license and coaches numerous cyclists and triathletes throughout the country. 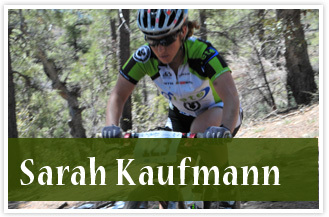 Sarah Kaufmann, is a dedicated, driven endurance mountain bike racer. She has been an enduro mountain bike racer going on two years now and participates in 24-hour endurance mountain bike events all over the country. Sarah was crowned winner of 24 Hours In The Old Pueblo, an endurance mountain biking event that takes place every February in Tucson, AZ, in the category of Solo Female. 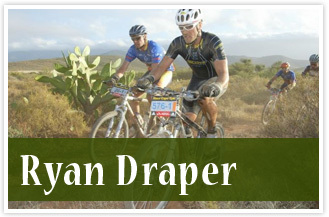 Ryan Draper, age 29, is a human dynamo. He is an ultra-endurance mountain bike racer who—in between training and racing as a professional cyclist in Canmore, Alberta, Canada. Ryan is also a performance consultant, coach and spin instructor, and general manager of Rebound Cycle, a bike shop located in Canmore. Erica Tingey balances a full and active life not only as a champion cross country mountain bike racer, but as a busy wife and mom. Her love and devotion to her family is very evident, and Erica credits cycling with helping her to be an awesome mother. 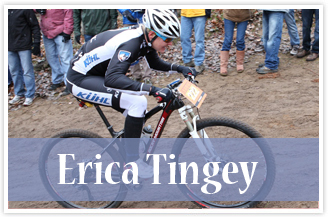 “My passion is being the best mother I can be,” says Tingey, “and riding my bike helps me be that! When he entered his first charity bicycle ride at the age of 28, Louie Amelburu, 44, a resident of Las Vegas Nevada, had no idea that his first race would ignite a lifelong passion for cycling. In the years since that first race, he has had an impressive 159 wins and has stood on the podium 254 times. Louie maintains a hectic schedule teaching school at Mike O’Callaghan Middle School and averaging 300 to 400 miles a week on his bike. 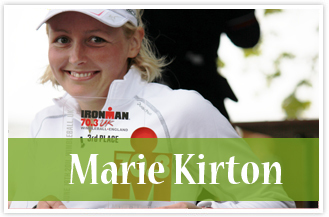 Marie Kirton was born a die-hard athlete. She grew up in a small farming town in New Zealand and tried as many sports (running, swimming, netball, rugby, soccer,) as she was able to during her childhood and high school years. While studying Physical Education and Commerce at university, Marie completed her first half marathon. “I had never known such pain,” she said. Marie has competed in four Ironman races, seven Half Ironmans, and numerous other standard and sprint distance triathlons. In 2011, she placed 3rd and 4th in her age group at the UK Half Ironman and UK Full Ironman and qualified for the World Long Distance Champs and the Ironman 70.3 world champs earlier this year. 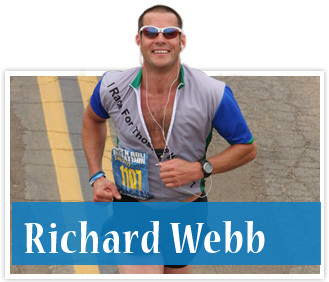 Rich raises awareness and money for two causes very near and dear to his heart—Lupus and Hempophagocytic lymphohistiocytosis or HLH. Rich’s mother, Kathleen Hale Webb, passed away a year ago following a lifelong battle with Lupus. Dear friends of Rich lost their infant daughter to HLH, a rare disorder that primarily affects young children. Children with HLH produce an excess of histiocytes and lymphocytes, infection-fighting cells in the body, which causes inflammation, loss of function, organ damage, and death. This elete athlete with a big heart recently spoke with us about his racing and training schedule. 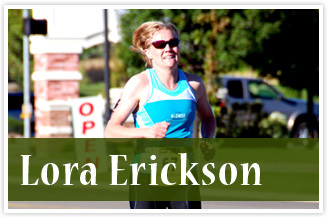 Lora Erickson, aka Blonde Runner, is a competitive runner and triathlete with over 25 years of experience. As one of Colorado’s top distance runners, various colleges throughout the United States heavily recruited her. Lora accepted an athletic scholarship running for Utah State University where she was honored as an All-Conference runner and graduated with a Bachelor’s of Science degree in Health Education with dual minors in Nutrition and Chemistry. She is the owner of Blonde Runner Health LLC in Bountiful, Utah where she currently resides with her husband and four children. Astrid Varga is living proof that some of the best things in life happen when we’re older. 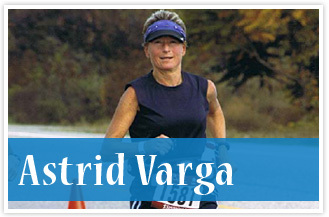 Seventeen years ago, Astrid, then 40, ran her first 10k taking first place in the Master’s category. That day, Astrid was transformed into a long-distance marathon runner. Since that first 10k race, Astrid has completed dozens of marathons both in Canada and the U.S. taking first place in her age category in may of these events. There is hardly a dull moment for husband- and wife- athletes and global adventurers, Gavin and Shelley (nee Michelle Burke) Phillips. Gavin and Shelley, native Australians, have lived on three continents and have traveled to more than 50 countries. 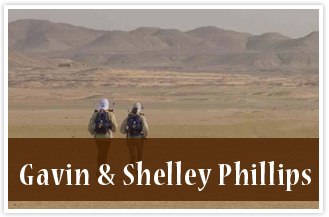 In March 2008, the Phillips’ competed in the Marathon des Sables (MdS), a seven day, 150mile, water rationed desert footrace in the world’s harshest desert, the Sahara. Through their participation in MdS, the Phillips’ raised funds for Facing Africa, a charity dedicated to treating and eradicating Noma, an infection that strikes young children and adults in sub-Saharan countries. Katy began swimming competitively at the age of 11, and continued through college. 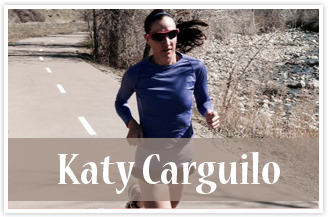 After moving to Utah in 2005, she began running as a way to keep in shape. It wasn’t until 2011, however, that she decided to try her first triathlon, and signed up for a Half Ironman before she even owned a bike. Katy now competes as a professional, and has set some impressive personal goals. Her passion and commitment to her life and her sport are an inspiration to all of us here at elete. 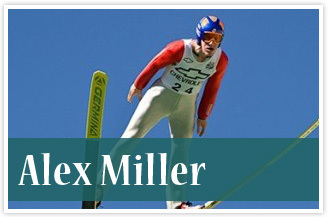 Alex Miller grew up in Steamboat Springs, CO and began training with the Nordic Combined team based in Steamboat. Alex and his twin brother, Davis, are among twelve prestigious and talented athletes who were named to the U.S. Nordic Combined Team. 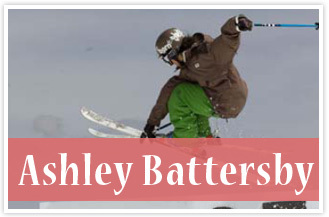 In the formidable and male-dominated sport of freeskiing or freeriding, Ashley Battersby, 19, of Park City, UT clearly stands out from the rest—and not just because she’s a female. Her gravity and death-defying leaps and 360s in addition to her rail jam moves are award winning and awe-inspiring. Micah Huss was raised in Kotzebue, Alaska, a small Eskimo community 33 miles above the Arctic Circle with a population of 3,000 people—very remote and accessible only by airplane. He is currently a heavy equipment operator for Northland Services in Anchorage, Alaska. He operates a 80-ton forklift off loading and loading freight barges. 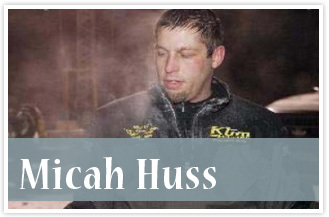 Micah’s interests include hunting, camping, flying, being with family and friends, and, of course, racing of all kinds. Caitlin spends her free time as a mentor and role model for at-risk youth in North Minneapolis. The goal of the program is to teach the children about the benefits of exercise and healthy eating. She loves working with these kids and has found a real passion for educating them about the opportunities that exist for them with sports. 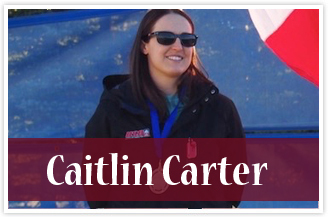 Caitlin Carter became a skeleton racer almost by accident. Invited to a recruitment event, she originally thought she would try out for bobsled. When she discovered that she was “too short and light” to be a bobsled racer, she signed up for skeleton instead. 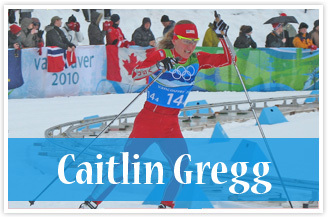 She did well enough that she was invited to train, and first competed in the 2011-12 season. As she steadily moves up the ranks in the sport, elete is pleased to sponsor Caitlin and we look forward to seeing her on future podiums. 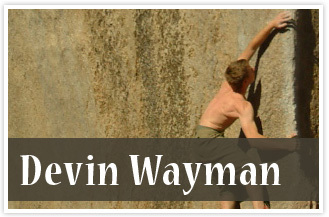 My name is Devin Wayman. I love to travel and experience new things in life. I’m a bit of an adrenaline junkie. Since the age of 8, I’ve been lucky enough to travel about every other year to somewhere in the world.I also really enjoy the water, scuba diving, and seeing some amazing islands and new places. I came across rock climbing, gave it a try and I was hooked from day one. The first time I climbed at an indoor gym, my mom told me I was a natural and to keep doing it. My long term goals are to climb all over the world and enter as many competitions as possible. 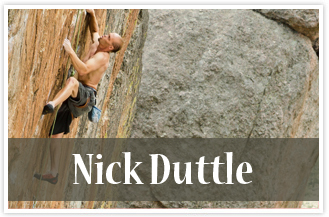 Nick Duttle is a professional climber from Las Cruces, New Mexico who currently travels the country in order to climb the most difficult and technical sport routes and boulders. Nick was born with a genetic condition, hypohidrotic ectodermal dysplasia, which affects the skin and development of sweat glands. The doctors told Nick’s mother that he would not live past the age of three. Yet, Nick not only proved the doctors wrong, he went on to become one of the world’s strongest climbers. Nick guides climbing trips in Colorado in the summers, enjoys teaching clinics and attending climbing events whenever possible, and serves as an ambassador/sponsored athlete for several well-known climbing and outdoor companies. With a degree in computer science, Audrey worked as a software professional for 15 years. But it was in university where her friends introduced her to the sport that has captured her heart, and taken her around the world. 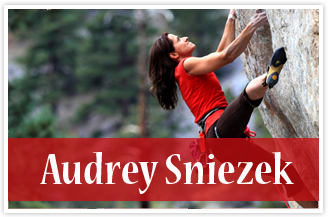 “Rock climbing quickly became my passion and my peace,” says Audrey. In addition to her professional career as a climber and software professional, Audrey also believes in giving back to her community. She donates her time and talents to helping high school kids in rural communities develop and hone their computer science skills so they can pursue a career in the field beyond high school. 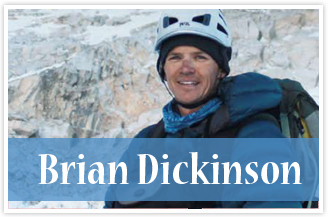 Brian Dickinson served for six years as a U.S. Navy Air Rescue swimmer before he moved to the Pacific Northwest to get his MBA and pursue his passion for extreme sports and mountain climbing. He has climbed in expeditions on the highest peaks of the seven continents, including Mount Everest, with the majority of climbs in the Cascade Mountains, near his home. Brian is the author of Blind Descent, a memoir about his 2011 solo summit of Mount Everest, where he survived getting down from the summit completely snow blind and alone. He also travels the nation as a motivational speaker and visits orphanages in the countries where he climbs. Brian is a husband and father of two children who leads by example in living life to its fullest. Unlike other professional sports—cycling, running, triathlons—in which, literally, time is money, in the world of professional bass fishing, it’s weight that reigns. And like other professional sports, professional bass fishing tournaments offer some pretty serious (six- and seven- figure) cash purses to the lucky fisherman (or woman) who can weigh in with the days’ heaviest catch. 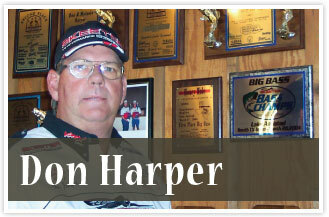 Just ask Don Harper of North Fort Worth, Texas, a professional bass fisherman. Late one summer, elete was connected with Don who related to us his experience in using elete Electrolyte Add-In™. Don used to suffer debilitating cramps while fishing. Sitting in an open boat for hours under a blazing hot Texas sun and exposed to brutal Southern humidity. Don was losing electrolytes, which was affecting his performance. Don credits elete Electrolyte Add-In ™ with banishing is cramps and allowing him to continue to follow his true passion and sport – bass fishing. 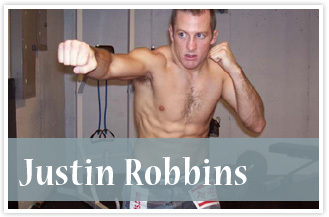 A rising star in Ultimate Fighting or Mixed Martial Arts (MMA), Justin Robbins. An athlete from a young age, Justin wrestled throughout high school and into his first year of college before moving back to his hometown to marry his high-school sweetheart. Justin first become involved in Ultimate Fighting in college through his college roommate who was a professional UFC fighter. Shortly there after Justin began training and a few years later started competing in MMA events. 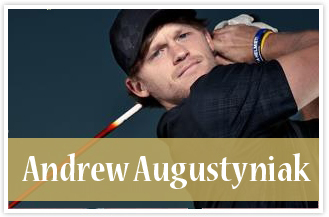 Born and raised in Tempe, Arizona, Andrew Augustyniak was a two-time, first-team, all-state golfer in high school. In college, he became a first team All-American junior college golfer. After graduating with his degree in Business Management, Andrew has continued to follow his dream to become a high-ranking professional golfer. 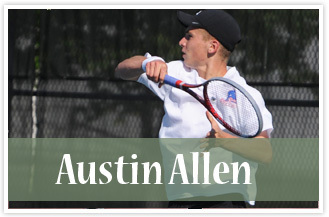 Austin was first introduced to tennis by his dad in elementary school, but, he says, he didn’t begin working to improve his skills until the sixth grade. His high school accomplishments include competing in the USTA Winter National Championships, as well as earning all-state status. He was ranked in the top 60 of the USTA Southern Section, which is an area covering nine states. Austin attends East Carolina University, and has set a goal for becoming a contributor to the starting lineup for ECU. This young, powerful sprinter who hails from New Jersey has the strength, speed, and stamina to literally dust the competition. 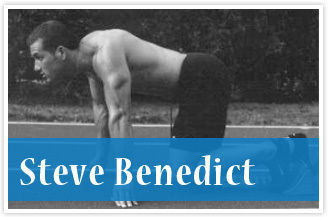 Steve’s initial interest in sprinting began as a freshman in high school when, as a running back for football, his parents and coach encouraged him to try out for track and field. Initially hesitant at first, Steve handily won county championships, fell in love with the sport, and, well, the rest is history. 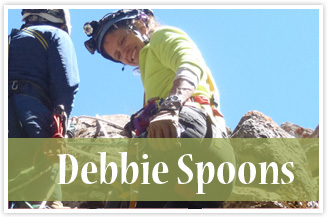 Debbie Spoons is a member of one of the largest search and rescue teams in Utah, and specializes in mountain and cave rescues. An avid climber and caver, Debbie has found elete to be a critical tool not just for herself and team members, but for people needing to be rescued on the mountain. Skeptical at first, Debbie first tried elete once when she had leg cramps at night. She was surprised to find immediate relief. Now, she and her team are never without elete. They love not only that it works so well, but that it is lightweight and easy to carry.